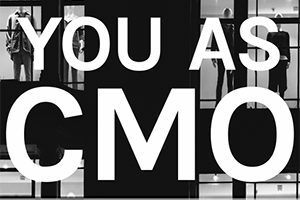 The responsibility for marketing doesn’t belong solely to your chief marketing officer and to her department. Everyone who interacts with customers or touches client work is in marketing. Because every member of the team, and every individual interaction they have with clients/customers day-to-day, creates the overall brand experience. Does your team realize the impact they have? It’s not something to feel burdened by, but rather something to get excited about. Everyone has the power to elevate the brand experience and help move the business forward. Marketing is about connecting and developing relationships. The non-marketing marketers in any organization (not only the B2B services business of this particular client) can add value through the one-to-one, consultative role each member of the team has with clients. Every touchpoint is an opportunity to add value. Every interaction is an opportunity to manifest your brand values and characteristics. A marketing and communications mindset is a growth mindset. To grow your business, you always need to be growing yourself. To stretch your knowledge and ability, as well as the team’s and the client’s, requires a growth mindset. Sometimes growth isn’t easy. At those times, it helps to remind yourself and your team what you are striving for (your vision) and realize that growth is a process. Cultivating a growth mindset can help you view challenges as opportunities. So, if everyone who is a non-marketer is really a marketer, what are some realistic things they can do to help contribute? 1. Out teach your competition. Share knowledge. Help your clients or prospects do better by helping them better understand what you do, and how it can help them do better (achieve their business goals). 2. Emulate chefs. Inform and educate. Share your point of view and your tricks. Show, in addition to tell. 3. Sound like you. Be yourself, be conversational. Forget about what you learned in that 7th grade term paper unit. Drop the formality and the long words and the extra adjectives. Write a report or a blog post as if you are talking, from one professional human to another. It’s all about creating a great brand experience. Which will lead to great customer relationships and more repeat business. Email Joy if you’d like to learn more and energize your team.